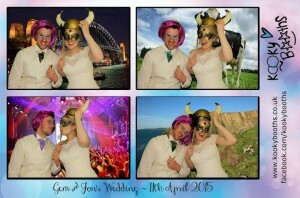 Gems & Jons Wedding – Ocean Kave, Westward Ho! 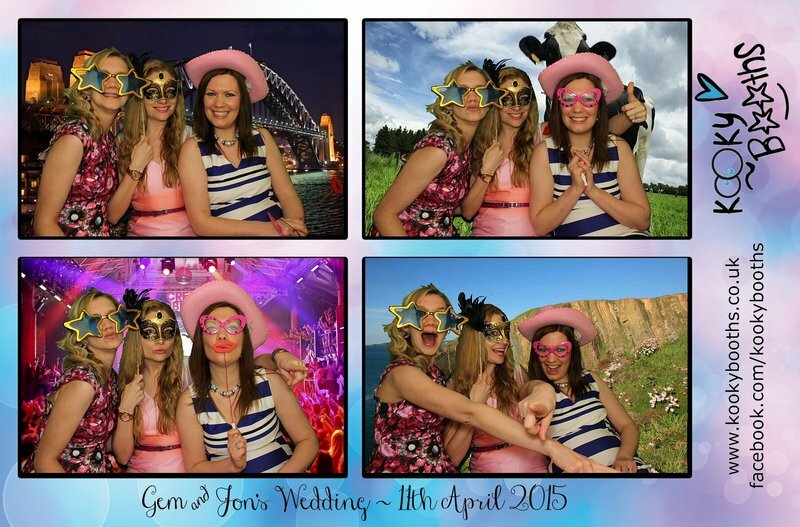 Home → Weddings → Gems & Jons Wedding – Ocean Kave, Westward Ho! This is the first time that we have “Kooky-Boothed” at this gorgeous venue Ocean Kave, Westward Ho! North Devon. The sun was setting over the cliffs, we got some amazing personal photos just from our phones! It was such a beautiful evening at a simply stunning venue! With Westward Ho! being a surfing village, of course we had to take along our VW Campervan photobooth! We were so excited to see this wedding all come together! Gem’s step-father David, had been heavily involved in the backgrounds used for their photos. Gem & John had met whilst on holiday in Ibiza. They’ve been travelling together, a particular favourite place for them was Syndey, Australia. Jon is a dairy farmer and he proposed to Gem at Baggy Point in North Devon. They had also chosen the duplicate copy option, so as well as all of their guests taking a copy of their photos, a copy was also stuck in their guest book along with a message from each guest. Gem (Bride) had left us the following Facebook feedback.. Thank you guys so much! These photos are such a good keepsake! I’ve never seen so many props and I loved all of the different backgrounds!! Just a quick e-mail to thank you both so much for all your work on Saturday at Ocean Kave. Everyone we spoke to loved the booth especially Finley! We have some great photos and the booth greatly added to the fun of the day. Thank you both for the professional yet fun way you operated on the day. We would not hesitate to recommend you to anyone looking for a booth and the venue asked for your details as well. The wedding is likely to be featured in a magazine article too! Thanks so much for having us guys, we absolutely loved it!